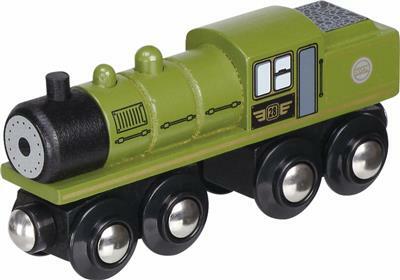 These colourfully painted trains made of solid wood are a must in any collection. The colours make the trains look fast and sporty and they can be connected with the magnets. These trains can be combined with any railway tracks.